Show us how you #CrushFridayVA this summer! Are you a vacation martyr? American workers – including those often unfairly maligned Millennials - left 662 million vacation days on the table last year. Were yours among them? There may be a valid reason for sacrificing the breaks you’ve earned: wanting to impress the boss or not let the team down, or maybe you just love the intimacy of rush hour. The truth is, stepping away from your laptop for a day may make you more creative, more productive, and – ironically – more likely to get a promotion. We invite you to take a Friday (or two) off this summer and crush it at a Virginia winery. You may win a new Virginia Wine Country Travel Journal! **See why Fauquier County wineries may be your best bet for Crushing Fridays! Winner chosen each week from among all qualifying posts since contest start date 7/1/18. Contest ends 10/1/18. Must be 21 to enter. No limit to number of entries. 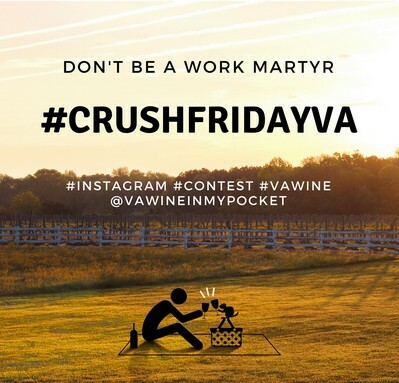 VA Wine in My Pocket will determine weekly winners based on best interpretation of how you are crushing Fridays at Virginia wineries. 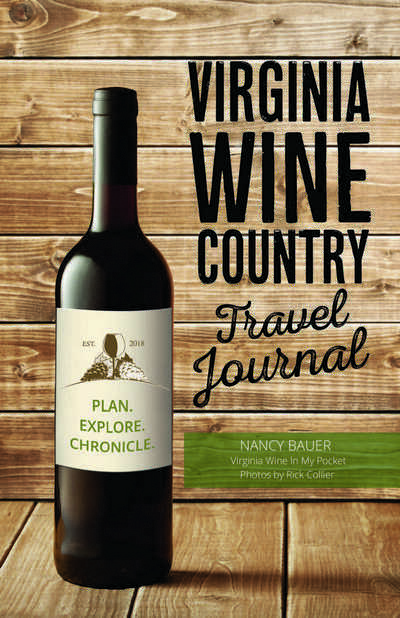 One winner per week receives a copy of Virginia Wine Country Travel Journal. Instagram in no way sponsors, endorses, or administers this promotion, and entrants agree to release Instagram from any liability associated with this promotion.